Exquisite, foldable and slim, our Luxe LED Makeup Mirror is a must-have on any dressing table! Featuring adjustable brightness LEDs, this mirror helps you apply your makeup easily and accurately, allowing for the look you always wanted. Made with the finest materials coupled with minimalistic design, stay gorgeous effortlessly today with this vanity desk and makeup mirror! Coming in 4 lovely colours, our Hues Warmer Pouch is designed to bring warmth to you comfortably! Simply pour in warm water and you may snuggle up to it during your winter travels or in the office. Besides, it comes with a removable outer pouch to allow for easy washing! 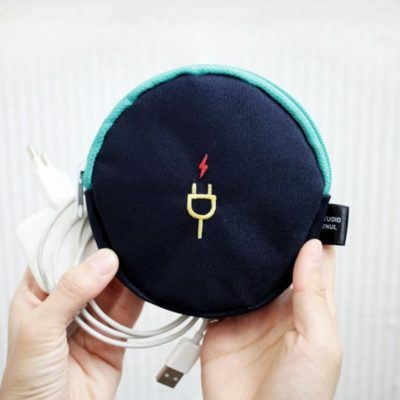 The Sphere Digital Organizer is an adorable yet functional pouch for all your gadgets and accessories! Coming in a unique sphere shape, it is perfect for storing away your powerbanks, cables, GoPro and more!Besides, its slim design makes it easy to slip into backpacks, sling bags and luggages. Make this organizer your digital companion today! Simple, well-designed and functional, our Simple Stripes Luggage Cover is a lovely family luggage cover! Its elastic material is well-padded and elastic to protect you luggage from scratches, small bumps and liquid splash! Coming in 6 sleek colours, be sure to protect your luggage with this cover today! Ever wanted to hang your towels, undergarment or lingerie hygienically and easily? Our Portable Hook & Clip Hanger is designed just for that! Besides, it comes in a 6-piece set with a zippered pouch making it great as a travel companion!